Mega Fortune is one of NetEnts hottest progressive jackpot slot games, so it is hardly a surprise that they decided to come up with a sequel. Maybe the real surprise is that it took 5 years for them to release the follow-up Mega Fortune Dreams in July 2014. 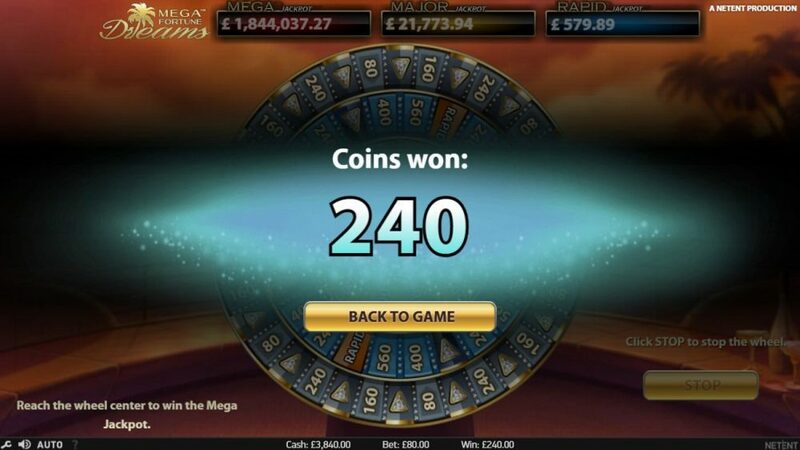 Like its predecessor, Mega Fortune Dreams pays out multi-million jackpots on a regular basis. The biggest jackpot to date was paid out in July 2017 when one lucky winner scooped a price of five and a half million euros. The average jackpot from this slot is just shy of €3.5 million so we are talking about life-changing sums of money. 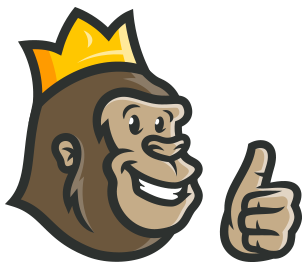 The Casino Gorilla always rated the original Mega Fortune as one of the best jackpot games, so he is keen to have a crack at the updated version. Like the 2009 original, Mega Fortune Dreams is a 5-reel slot game, and it also boasts a very similar return to player of 96.6% as compared to 96.4%. The newer game has just 20 pay-lines instead of the originals 25, and it is a high variance game whereas the original paid out small amounts on a more regular basis. Bets on Mega Fortune Dreams suit all pockets, as they range from 20c all the way up to €80 per spin. Another carry-over from the classic original slot is the use of luxury goods in the symbols of this game. Mega Fortune Dreams have done an upgrade in terms of the quality of the graphics, but the images are similar. The lower value symbols are some blinged out versions of the traditional playing card 10 to A. For the higher value symbols we begin with a glass of martini, then a bucket of champagne on ice, next an expensive purse, a designer watch and the top value symbol is a chunky diamond engagement ring, offering 2,000 times your bet amount if five of these appear on a winning line. The wild symbol in play here is a tropical scene featuring palm trees in front of blue skies. Presumably this is the type of destination that winners of the jackpot will be jetting off to! Wilds can show up in the regular game as well as free spin rounds and can replace any of the regular symbols. If three or more wilds appear at the same time then you will automatically get a free re-spin with the wilds locked in place. You won’t miss this scatter symbol as it is a very impressive looking diamond that looks like it’s worth a fortune all on its own. If three of these appear anywhere on the screen then you’ve won 10 free spins, with 15 on offer if you find 4 of them and all five diamonds giving you a generous 20 free spins. Any time another scatter shows up during the free spin round you will find that either the multiplier increases by 1 or 2 or else you will receive 1, 2 or 3 more free spins. 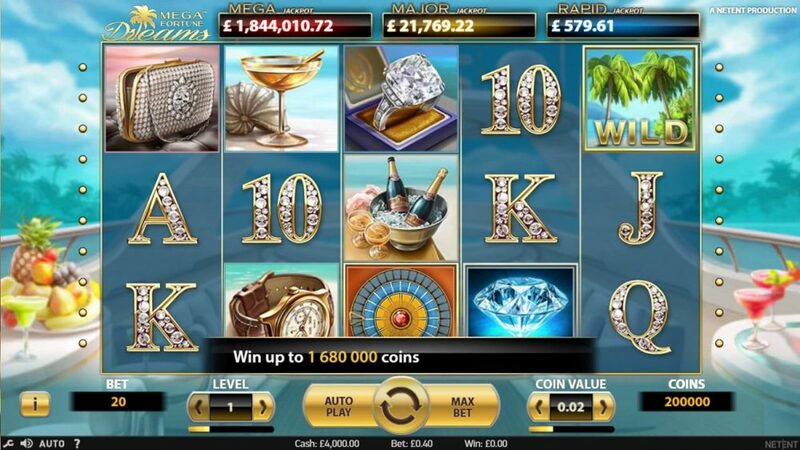 You start the free spins round with a x3 multiplier of any wins and this can increase to a maximum of x10. 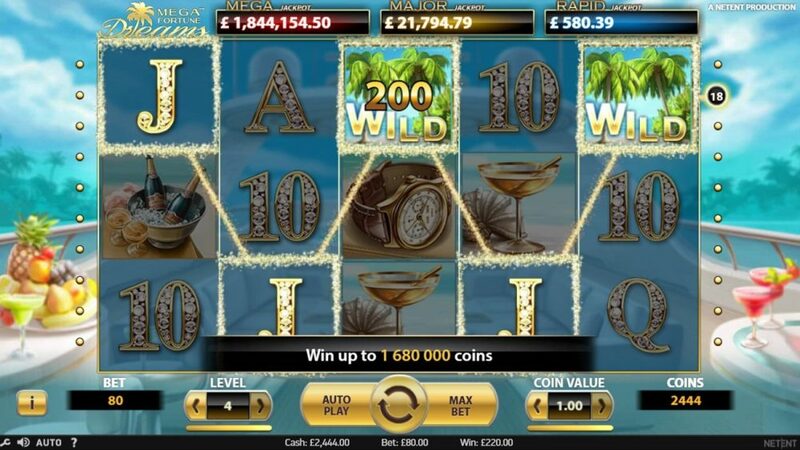 In other words, even without the jackpot you can still win some very sizeable cash prizes from this game. Drum roll please, as it’s time to check out the jackpot game. That’s why we’re all playing progressive jackpot slot games after all, isn’t it? As we have seen above, the jackpots on offer are pretty special here, and there’s more than one jackpot to try and win. You enter the jackpot game if you find three (or more) Bonus ‘wheel of fortune’ symbols on reels 3, 4 and 5 during the base game or free spins round. Now you get to play to (hopefully) win one of the three available jackpots: the Rapid, Major or Mega jackpot. You will be taken to a new screen with a giant wheel of fortune, made up of three interlocking wheels with the crown jewel of the Mega Jackpot in the centre. Start with the outside wheel, which spins to end up either with a small cash amount or an arrow pointing towards the centre. If you get an arrow you move to the next wheel, where you have fewer arrows as well as higher cash amounts and two Rapid Jackpot squares. Get another arrow to progress to the inner wheel, with large cash prizes, one chance of winning the Major Jackpot and just one more arrow. If the stars are shining on you then you will land on that final arrow to claim the Mega Jackpot for yourself. The graphics and animations on display on the Mega Fortune Dreams slot are a definite step up from the original game from NetEnt. Those luxurious symbols keep you dreaming of that big win, and the chilled-out music adds a relaxing vibe. Although winning the multi-million jackpot Mega prize is always going to be a long shot, there is plenty more to keep you spinning those reels. 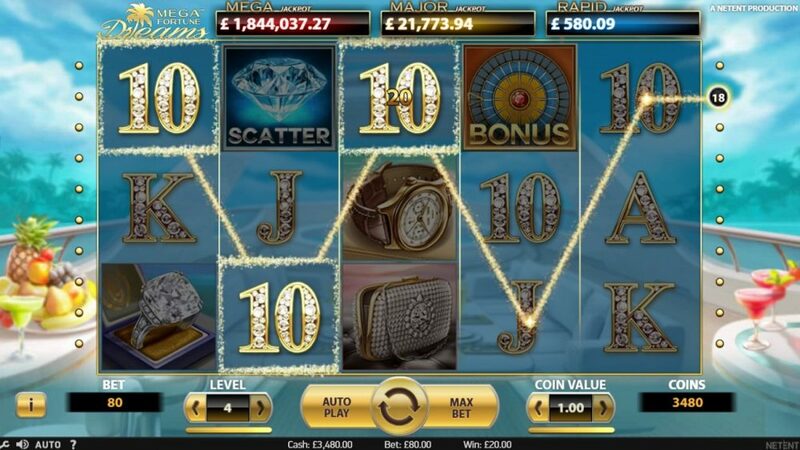 The free spins game is definitely worth entering, as those multipliers can really ramp up the profits. 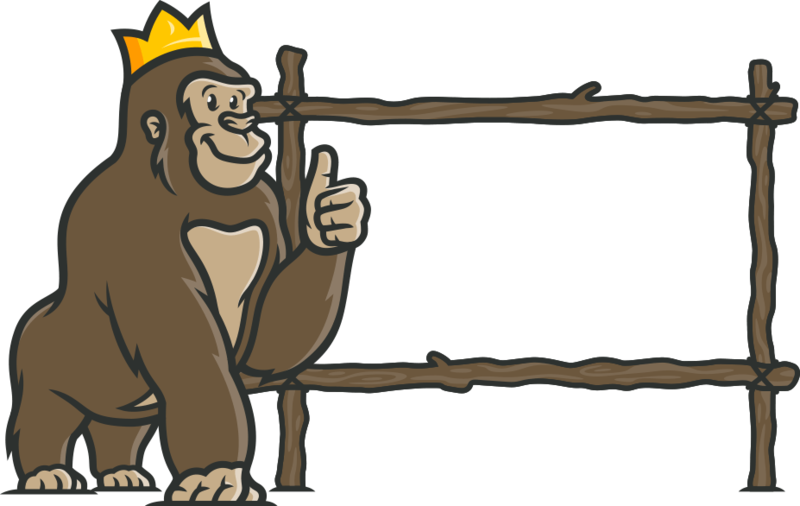 All in all, while the Casino Gorilla remains a fan of the original, this new version is a very worthy successor. One of the highest paying jackpot games I ply. It has a nice relaxing theme and the symbols are pretty. 20 paylines makes it affordable and it still pays out even without hitting a jackpot. My winnings with Mega Fortune Dreams were low compared to other jackpot games. Nothing negative on the actual gameplay however, everything runs and plays smooth.